Submitted by ken on February 6, 2007 - 10:27am. Members of the Dodge City, Kansas, Peace Commission, from left to right: Chas. 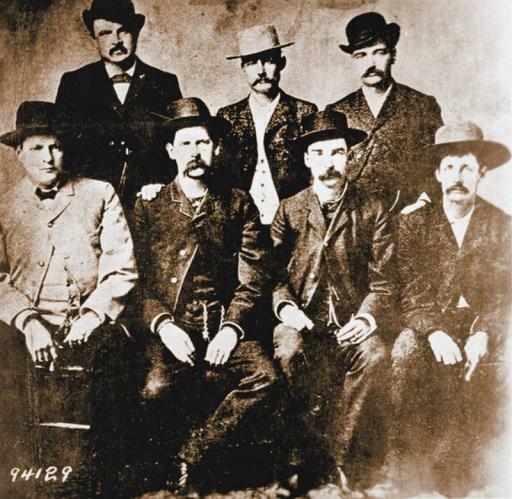 Bassett, W. H. Harris, Wyatt Earp, Luke Short, L. McLean, Bat Masterson, Neal Brown. The photograph was taken by Camillus S. Fly in 1890.